Background: There is still a lack of effective treatments for acute ischemic stroke. Our pre-clinical studies suggest that ozone therapy administered by autologous blood transfusion is a convenient and safe treatment for ischemic stroke, and is popular with patients, but its therapeutic benefits are not clear. We hypothesized that ozone therapy administered by autologous blood transfusion for ischemic stroke is safe and effective, and propose a protocol for a prospective, multi-center, open-label, large-sample, parallel, randomized, non-blinded controlled trial. Methods/Design: This will be a multi-center, open-label, large-sample, parallel, randomized controlled trial. We intend to recruit 5,000 patients with acute ischemic stroke in 30 centers (including General Hospital of Shenyang Military Region, China). Patients will be randomly allocated to a control group (n = 2,500; conventional stroke therapy) or an ozone therapy group (n = 2,500; ozone therapy administered in addition to conventional therapy). The primary outcome will be a modified Rankin Scale score 0-2 at 90 days. Secondary outcomes will be National Institute of Health Stroke Scale score at 14 days, blood lipid and glucose concentrations and coagulation function at 14 days, and the incidence of post-stroke pneumonia, recurrent stroke and other vascular events in the first 90 days after stroke. Discussion: We hope that our results will illuminate the therapeutic benefits of ozone therapy administered by autologous blood transfusion for acute ischemic stroke. Trial registration: This trial was registered at Chinese Clinical Trial Registry (registration No. ChiCTR-ICR-15007093) on 18 September 2015. Ischemic stroke is common, the mortality rate is high and there is a substantial burden of disability among survivors. Current effective therapies for ischemic stroke include antiplatelet drugs, thrombolysis with recombinant tissue plasminogen activator and endovascular stenting (Eneeva et al., 2015; Hill et al., 2015), but despite advances in treatment many patients do not make a full recovery. There is a huge amount of interest in finding more effective treatments for acute ischemic stroke, including non-drug treatments. Examples include hypothermia therapy, transcranial laser therapy, partial aortic occlusion and sphenopalatine ganglion stimulation, but none of these has been confirmed to be effective in a randomized, controlled clinical trial (Maksimova et al., 2015; Stanca et al., 2015). There has also been a great deal of interest in the potential benefits of ozone therapy for ischemic stroke (Carlsen et al., 2003). When ozone is administered by autologous blood transfusion, it reacts almost instantaneously to increase blood adenosine triphosphate (ATP) concentration. An abundance of ATP enters the edematous brain tissues where the blood-brain barrier is impaired, where it binds to and activates ATP-dependent sodium and potassium ion channels on cell membranes, restores ion gradients across the cell membrane, improving cell function and treating cerebral edema (Hinze et al., 1987; Oosting et al., 1991; Ahmad et al., 2005; Sha and Huo, 2015). Ozone therapy reportedly elevates blood oxygen saturation, improves blood circulation, activates erythrocyte metabolism, improves tissue oxygenation and oxygen supply and restores cell function, effectively promoting oxygen metabolism (Calabrese et al., 1979; Tylicki et al., 2003; Sha and Huo, 2015). Ozone can also reportedly improve arterial and venous blood flow, increase the elasticity of erythrocytes, increase the ability of blood to pass through the capillaries and consequently increase oxygen supply to all organ systems. Ozone also reduces platelet aggregation (Lin et al., 2005), and promotes formation of hydrogen peroxide (H 2 O 2 ) at the site of thrombus, which impairs thrombosis and induces thrombus disintegration. In our clinical practice, we have observed that ozone therapy administered by autologous blood transfusion for ischemic stroke is convenient and safe, and is acceptable to patients. Nevertheless, the therapeutic benefits of ozone therapy for ischemic stroke have not been tested in a large clinical trial, so ozone therapy cannot yet be used with confidence in routine clinical practice. We hypothesized that ozone therapy administered by autologous blood transfusion is a safe and effective treatment for acute ischemic stroke, and plan to verify our hypothesis by a prospective, multi-center, open-label, large-sample, parallel, randomized controlled trial, which may provide new insights into the potential for ozone therapy to improve outcomes for patients with acute ischemic stroke. This will be a multi-center, open-label, large-sample, parallel, non-blinded randomized and controlled trial. The study protocol has been approved by the ethics committee of General Hospital of Shenyang Military Region, China (approval No. k(2015)22). Written, informed consent will be obtained from participants and their family members. We will recruit 5,000 patients with acute ischemic stroke in 30 study centers (including General Hospital of Shenyang Military Region, China) to the trial. Modified Rankin Scale (mRS) score (Banks and Marotta, 2007) 0 or 1. Patients presenting with any of the following conditions will be excluded from the trial. Randomization will be undertaken by the Department of Neurology, General Hospital of Shanyang Military Region, China, at the ratio of 1:1. All participants will be assigned to the ozone therapy group or the control group in accordance with randomized stratified block randomization: 2,500 participants in the control group will receive conventional treatment, while 2,500 participants in the ozone therapy group will receive ozone therapy and conventional treatment. Participants and therapists will be aware of the group management and quality plans. A flow chart of the trial protocol is shown in [Figure 1]. Note: Ozone (O3) therapy: standard treatment program + ozone therapy administered by autologous blood transfusion, once or twice daily, 30 minutes per episode for 10 days. Standard treatment: antiplatelet therapy with oral aspirin or clopidogrel once daily; blood pressure and blood glucose control; circulatory and symptomatic support; and neuroprotection. If necessary, mannitol 20% will be used to reduce intracranial pressure and treat cerebral edema. Abbreviations: R: Randomization; NIHSS: National Institute of Health Stroke Scale; mRS: modified Rankin Scale; d: days. Participants in the control group will be managed according to routine clinical practice with antiplatelet drugs (aspirin or clopidogrel taken orally once a day), blood pressure and blood glucose control, circulatory and symptomatic support, and neuroprotection. If necessary, mannitol 20% will be used to decrease intracranial pressure and eliminate cerebral edema. Participants in the ozone therapy group will be subjected to the same management strategies but will also be administered ozone by autologous blood transfusion. Filtered sterile ozone will be produced by an ozone therapeutic instrument (Humares GmbH, Kanalstr.17-19 D-76356, Weingarten, Germany) and a known concentration (40 μg/mL) will be infused into a bag containing autologous blood and then transfused. Ozone therapy will be administered once or twice a day, for 30 minutes per episode for 10 days. The primary outcome will be an mRS score of 0-2 at 90 days (Banks and Marotta, 2007). Secondary outcomes will be: National Institute of Health Stroke Scale score (14 days); blood lipid concentrations (low-density lipoprotein, high-density lipoprotein and cholesterol), blood glucose concentration and coagulation function (14 days); pulmonary infection after stroke (90 days), recurrent stroke during follow-up or other vascular events (90 days). The timing of assessment of outcome measures is shown in [Table 1]. Adverse events will be recorded on the case report form, including those mentioned by participants, detected by researchers, or identified on physical examination, laboratory tests or other methods. Adverse events will be processed and reported according to relevant regulations. Case report forms will be included in the final clinical trial report. We will classify the severity of adverse events as mild, moderate or severe. Mild adverse events are defined as symptoms or signs that are tolerable and can be accepted (accept). Moderate adverse events are defined as discomfort that has interfered with daily life (interfere). Severe adverse events are defined as those that are not compatible with daily work or activities (cannot be accepted). When determining the impact of adverse events, the term severity will be used to describe the functional impairment caused by the event. We will use the following judgment standards to assess adverse events: (1) certainly related, the reaction is consistent with the known type of reaction, the reaction improves after termination and recurs when the test is repeated; (2) possibly related, the reaction appears consistent with the known type of reaction, but the subject's clinical status or their treatment during the trial is a possible cause of the reaction; (3) possibly unrelated, the reaction is not totally consistent with the known type of reaction, and the subject's clinical status or their treatment during the trial is a possible cause of the reaction; (4) unrelated, the reaction is not consistent with the known type of reaction, and the subject's clinical status or their treatment during the trial is the probable cause of the reaction, the reaction resolves when the subject's status improves or other treatment stops and/or recurs when other treatment methods are repeatedly used; (5) cannot be assessed, the reaction is similar to the known type of reaction, and the subject's clinical status or their treatment during the trial probably caused the reaction. We will also record the outcomes of adverse events. Adverse events will be categorized as having occurred, having not been detected, or having resolved after treatment. Severe adverse events are defined as those that require hospitalization, prolong the length of hospital stay, lead to disability, impair work capacity, or cause a threat to life or death. The investigators will report all severe adverse events to the Work Safety Division of the China Food and Drug Administration, the hospital ethics committee of the main investigator, inspectors and sponsors of the clinical studies within 24 hours. The case report form for severe adverse events will record event-related information as completely and with as much detail as possible. Experts in statistics will make an analysis proposal in consultation with the principal investigator. Case data obtained in the trial will be collected by an observer. Accuracy of data recorded in the case data form will be checked. The following three data sets will be used: (1) Full Analysis Set, as close as possible to the intention-to-treat population, including all participants' data; (2) Per Protocol Set, a subset of the Full Analysis Set; which includes each subject has completely complied with the protocol, has complete main index values, and meets the inclusion criteria without meeting any of the exclusion or rejection criteria; (3) Safety Set, participants who were administered the study drug at least once and in whom at least one safety assessment was made. Statistical analysis: Data will be analyzed using SAS 9.1.3 software (SAS Institute Inc., Cary, NC, USA). First, we will apply a statistical description of the data. For measurement data, the number of effective data, the mean, standard deviation, minimum value, lower quartile, median, upper quartile and maximum values will be reported, while for numeration data, corresponding frequencies or proportions will be reported, as percentages where appropriate. Comparisons of baseline data between the groups will be made using the Mann-Whitney U non-parametric test and the chi-square test. A dropout analysis will be undertaken to compare the total dropout rate and the drop-out rate induced by adverse events using the chi-square test. For analysis of therapeutic effects, the main evaluation index (treatment efficacy) will be a non-inferiority test. The test assumptions are as follows: H 0: πT-πC ≤ −15%; H1: πT-πC > −15%. Confidence intervals (CIs) will be established: to reject H0 at α level, or if the lower limit of 95% CI of the efficacy difference between the two groups is > −15%, it can be considered that the therapeutic action of ozone is non-inferior. McNemar's chi-square test will be used to assess the efficiency of ozone in the adjuvant treatment of acute ischemic stroke. A blood low-density lipoprotein-cholesterol concentration < 2.57 mM 90 days after treatment will be used as an index for hyperlipidemia assessment. McNemar's chi-square test will be used to evaluate the therapeutic efficacy for hyperlipidemia. To reject H0 at α level, or if the lower limit of 95% CI of the efficacy difference between the two groups is > −15%, it can be considered that the therapeutic action of ozone is non-inferior. All statistical tests will be two-sided. A P value ≤ 0.05 will be considered statistically significant (with the exception of non-inferiority tests). Data preservation: Investigators will store all data in a secure, locked environment for future viewing. In accordance with Chinese Good Clinical Practice, all data will be kept for at least 5 years. We will set up an Overall Steering Committee, an Executive Committee, a Data and Safety Monitoring Committee, and an Endpoint Event Committee to manage the scientific rigor, authenticity and reliability of the study. Clinical trial protocol deviations will be defined thus: participants not fulfilling the inclusion criteria are nonetheless enrolled; participants do not give written, informed consent before or after the trial (taking into account that some participants may have lost the ability to write as a result of their stroke, and that written consent may be given on their behalf by a family member or appointed responsible adult); participants do not receive treatment according to the protocol; severe adverse reactions are missed or not detected in a timely fashion. If a protocol deviation adversely influences a subject's rights, safety or health, a protocol deviation report form will be completed immediately and submitted to the ethics committee for further consideration and management. The findings of several studies suggest that ozone therapy has some therapeutic benefits for patients with ischemic stroke (Anderson et al., 1990; Clavo et al., 2011; Frosini et al., 2012; Wasser, 2013; Sha and Huo, 2015), but each trial has been limited by its small sample size. Autohemotherapy has been reported to have beneficial therapeutic effects when combined with traditional Chinese medicine, rehabilitation, exercise and acupuncture in a trial of 156 elderly patients with ischemic stroke (Gu, 2012). Jia et al. (2015) have reported that ozonated autohemotherapy substantially improved neurologic function in 74 patients with stroke. These studies suggest that autohemotherapy is safe and effective. It is logical, therefore, that the effectiveness of ozone therapy administered by autologous blood transfusion for ischemic stroke should be verified by large-sample multi-center clinical trials. In this prospective, multi-center, open-label, large-sample, randomized, controlled trial, 5,000 patients with acute ischemic stroke recruited in 30 centers will receive standard therapy, and 2,500 of these will also receive ozone therapy administered by autologous blood transfusion. The large number of cases that we anticipate will complete the trial will address the shortcomings of previous studies. The recovery of neurologic function will be evaluated using the mRS and NIHSS. We will also document changes in blood concentrations of lipids and glucose and coagulation parameters, evaluate adverse reactions, illuminate the effectiveness and safety of ozone therapy administered by autologous blood transfusion, and expand the evidence base for the treatment of acute ischemic stroke. Ongoing and recruiting at the time of submission. JQ and HSC conceived and designed the protocols, wrote and revised the paper, and approved the final version of the paper for publication. General Hospital of Shenyang Military Region, the PLA 208 Hospital, PLA No. 202 Hospital, the PLA 321 Hospital, Shenyang Red Cross Hospital, the Fourth People's Hospital of Shenyang, Tenth People's Hospital, Affiliated Central Hospital of Shenyang Medical College, Anshan Central Hospital, Dandong Central Hospital, and Fuxin Central Hospital, China. This paper was screened twice using Cross Check to verify originality before publication. Ahmad S, Ahmad A, McConville G, Schneider BK, Allen CB, Manzer R, Mason RJ, White CW (2005) Lung epithelial cells release ATP during ozone exposure: signaling for cell survival. Free Radic Biol Med 39:213-226. Anderson ML, Smith DS, Nioka S, Subramanian H, Garcia JH, Halsey JH, Chance B (1990) Experimental brain ischaemia: assessment of injury by magnetic resonance spectroscopy and histology. Neurol Res 12:195-204. Banks JL, Marotta CA (2007) Outcomes validity and reliability of the modified Rankin scale: implications for stroke clinical trials: a literature review and synthesis. Stroke 38:1091-1096. Calabrese EJ, Moore G, Brown R (1979) Effects of environmental oxidant stressors on individuals with a G-6-PD deficiency with particular reference to an animal model. Environ Health Perspect 29:49-55. Carlsen HK, Forsberg B, Meister K, Gíslason T, Oudin A (2013) Ozone is associated with cardiopulmonary and stroke emergency hospital visits in Reykjavík, Iceland 2003-2009. Environ Health 12:28. Clavo B, Suarez G, Aguilar Y (2011) Brain ischemia and hypometabolism treated by ozone therapy. Forsch Komplementmed 18:283-287. Eneeva MA, Kostenko EV, Razumov AN, Petrova LV, Bobyreva SN, Nesuk OM (2015) The enhanced external counterpulsation as a method of non-invasive auxiliary blood circulation used for the combined rehabilitative treatment of the patients surviving after ischemic stroke (a review). Vopr Kurortol Fizioter Lech Fiz Kult 92:45-52. Frosini M, Contartese A, Zanardi I, Travagli V, Bocci V (2012) Selective ozone concentrations may reduce the ischemic damage after a stroke. Free Radic Res 46:612-618. Gu YL (2012) Clinical observation of medical ozone therapy combined with traditional Chinese medicine in treatment of old age ischemic stroke patient. Neimenggu Zhongyiyao 31:17-18. Henrotin JB, Besancenot JP, Bejot Y, Giroud M (2007) Short-term effects of ozone air pollution on ischaemic stroke occurrence: a case-crossover analysis from a 10-year population-based study in Dijon, France. Occup Environ Med 64:439-445. Hill MD, Goyal M, Demchuk AM, Fisher M (2015) Ischemic stroke tissue-window in the new era of endovascular treatment. Stroke 46:2332-2334. Hinze H, Prakash D, Holzer H (1987) Effect of ozone on ATP, cytosolic enzymes and permeability of Saccharomyces cerevisiae. Arch Microbiol 147:105-108. Jia JH, Ji YH, Zhang J, Wang DL, Pang SF (2015) Observation of ozone major autohemo therapy in treating stroke sequela. Zhonghua Yixue Zazhi 4:216-217. Lin WC, Yu DG, Yang MC (2005) Blood compatibility of thermoplastic polyurethane membrane immobilized with water-soluble chitosan/dextran sulfate. Colloids Surf B Biointerfaces 44:82-92. Maksimova MY, Tanashyan MM, Smirnova IN (2015) Treatment of ischemic stroke. Neurology branch of Chinese Medical Association (2014) Chinese guidelines for the diagnosis and treatment of acute ischemic stroke. Neuroradiol J 26:243-251. Oosting RS, Van Rees-Verhoef M, Verhoef J, Van Golde LM, Van Bree L (1991) Effects of ozone on cellular ATP levels in rat and mouse alveolar macrophages. Toxicology 70:195-202. Sha QR, Huo LJ (2015) The advance in medical ozone treatment of ishemic stroke. Neimenggu Yixue Zazhi 6:697-699. Shah AS, Newby DE, Mills NL (2010) Potential link between ozone and recurrent stroke. Heart 96:1953-1954. Shirakawa M, Yoshimura S, Yamada K, Uchida K, Shindou S (2015) Endovascular treatment for acute ischemic stroke: considerations from recent randomized trials. Interv Neurol 3:115-121. Spilker J, Kongable G, Barch C, Braimah J, Brattina P, Daley S, Donnarumma R, Rapp K, Sailor S (1997) Using the NIH Stroke Scale to assess stroke patients. The NINDS rt-PA Stroke Study Group. J Neurosci Nurs 29:384-392. Stanca DM, Mãrginean IC, Sorițãu O, Mureșanu DF (2015) Plasmatic markers for early diagnostic and treatment decisions in ischemic stroke. J Med Life 8:21-25. Tylicki L, Nieweglowski T, Biedunkiewicz B, Chamienia A, Debska-Slizien A, Aleksandrowicz E, Lysiak-Szydlowska W, Rutkowski B (2003) The influence of ozonated autohemotherapy on oxidative stress in hemodialyzed patients with atherosclerotic ischemia of lower limbs. Int J Artif Organs 26:297-303. 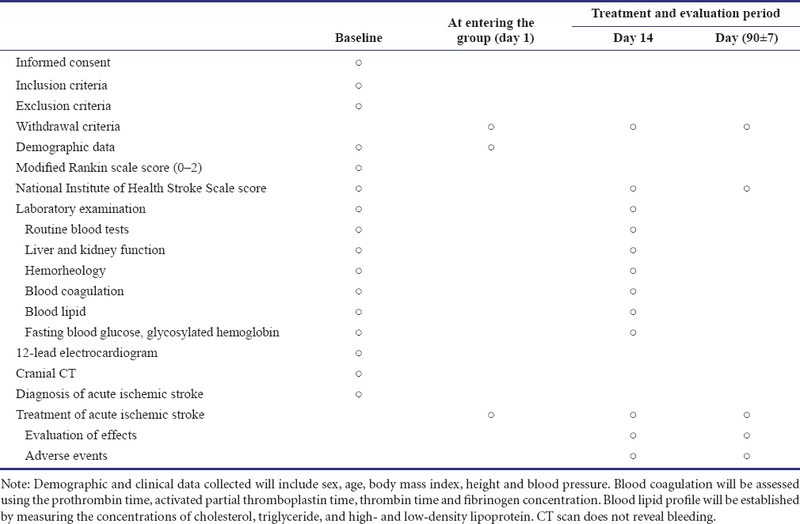 Wasser G (2013) Ischemic stroke penumbra and extracorporeal ozone treatment. Zh Nevrol Psikhiatr Im S S Korsakova 115:126-129.